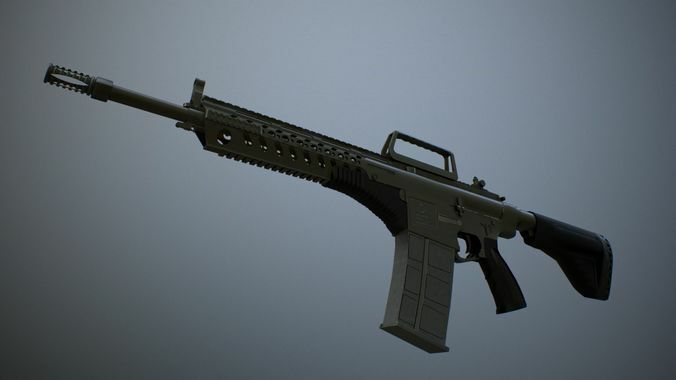 MPT-76 Battle Rifle model has two sets of 4K textures: standard black gun metal and damaged camouflage. Both textures has variations for Unity3D's metallic and specular workflow as well as UE4's metallic workflow. The 3dsMax 2018 scene uses UE4 texrures. There is also a .fbx and a .obj format for compatibility with game engines and other 3d softwares.